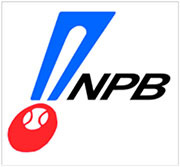 TOKYO -- The new commissioner of Japan's premiere professional baseball league, the Nippon Professional Baseball (NPB), completed his first official day in office yesterday (6-Jan). NPB commissioner Katsuhiko Kumazaki, who was named Ryozo Kato's successor on December 26th, is an attorney and former prosecutor. According to the Japan Times, much of Kumazaki's first public statement was in regard to improving NPB's communication strategy. “We must be an organization that maintains open lines of communication. It might not be much, but I will grapple with issues using all my strength," Kumazaki said. Kumazaki's also provided some insight on his immediate plans for solidifying the foundation on which he will oversee NPB's operations, which generate an estimated total of over 1.0 billion dollars (USD) annually and have ticket sales that exceed 20 million per season, making NPB one of the most commercially successful professional leagues in all of sport. "How can we make the organization strong and energetic? The first task is overhauling and strengthening the secretariat,” Kumazaki stated.